The Odyssey PC680MJ is a A 12 volt 520CA/170CCA 17 Ah drycell battery w/ female brass terminals capable of delivering up to 520 cranking amps and 170 cold cranking amps.The ultimate battery for street cruising or long distance traveling. This dynamic power source incorporates a rugged sealed design, combined with all the safety and vibration-resistant features you'd expect from the world's leading drycell battery. It's the solution to all your battery problems. Zero Maintenance plus Odyssey’s sealed dry design means no more acid spills, acid burns, or the need to add water. It will not leak or corrode. A Direct replacement for your BMW Motorcycle. General use engine start. HD ‘80-’96 full dresser. Small liter auto engine start. The Odyssey PC680 is a A 12 volt 520CA/170CCA 17 Ah drycell battery w/ female brass terminals capable of delivering up to 520 cranking amps and 170 cold cranking amps. Its military grade AGM design allows it to take the place of not only a starting battery with its unsurpassed cranking powe deep cycle. Its pure lead design allows the battery to be completely discharged and recharged for over 400 times without any damage to the plates. The Odyssey PC680’s pure lead internal plates are resistant to corrosion and sulfating; the main cause for battery failure. 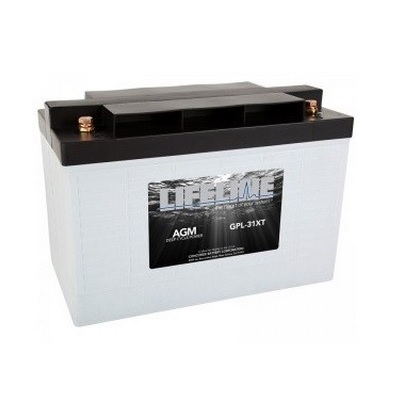 We recommend using the Odyssey Ultimizer shown below for charging the PC680 but any conventional battery charger or alternator up to 15.2 volts and 25 amps will be sufficient.The ultimate battery for street cruising or long distance traveling. A Direct replacement for your BMW Motorcycle. General use engine start. HD ‘80-’96 full dresser. Small liter auto engine start. These dynamic power source incorporate a rugged sealed design, combined with all the safety and vibration-resistant features you’d expect from the world’s leading drycell battery. It’s the solution to all your battery problems. Zero Maintenance plus Odyssey’s sealed dry design means no more acid spills, acid burns, or the need to add water. It will not leak or corrode. The PC680 and PC680MJ are identical batteries except for the MJ which stands for metal jacket which is needed for protection from heat and vibration. Be the first to review “Odyssey PC680MJ Drycell Battery with Metal Jacket” Click here to cancel reply.